A description I use quite frequently when writing a story about a place we have visited is that it has many restaurants and shops. It is the case on a good portion of the trips we take. 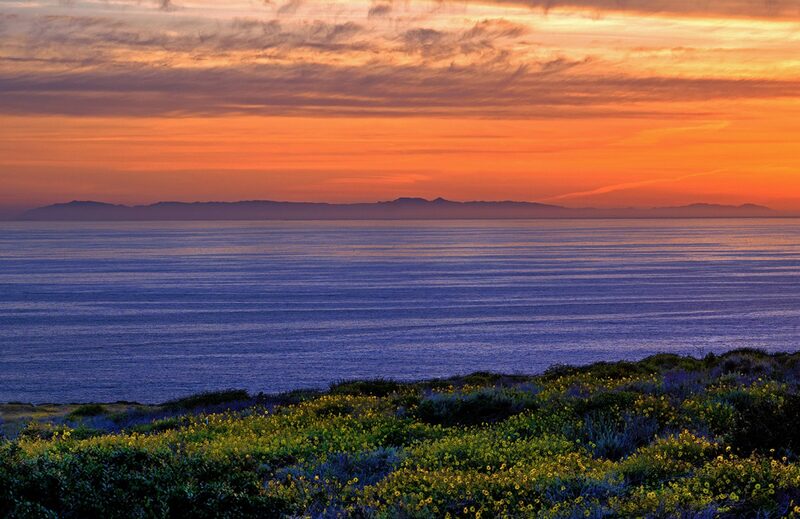 One such example is the tourist location of Catalina Island which is about 20-30 miles off the coast of Southern California. It is an island that caters to visitors and includes hotels, condos, time shares, glass bottom boats, para-sailing, zip lines, bus tours, and of course food and shops. 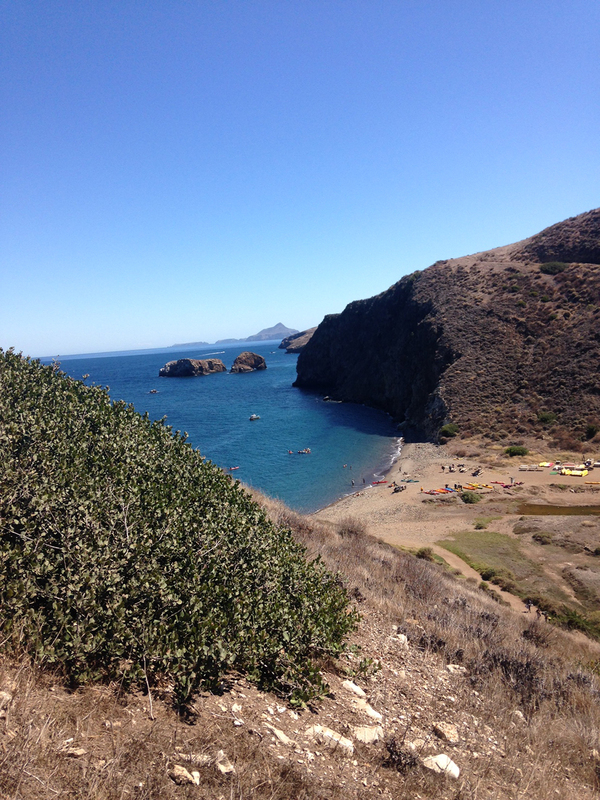 However, we are not talking about THAT island, we are talking about Santa Cruz Island. 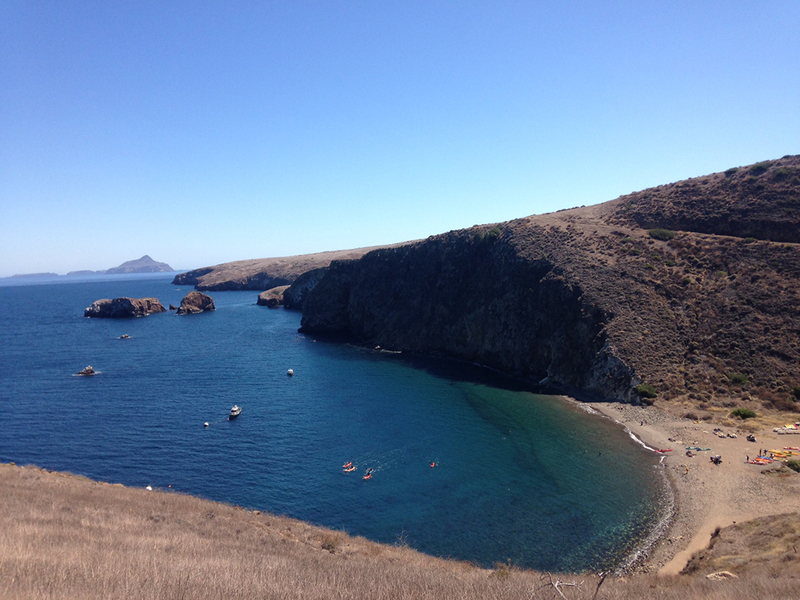 Santa Cruz Island has none of those things, so, if you need a cozy bed and a nice restaurant, this isn’t the place for you. This island has no stores or restaurants. For sleeping accommodations it has designated primitive campsites with public pit toilets and water spigots. Camp fires are not allowed, but camping gas stoves are permitted for cooking. 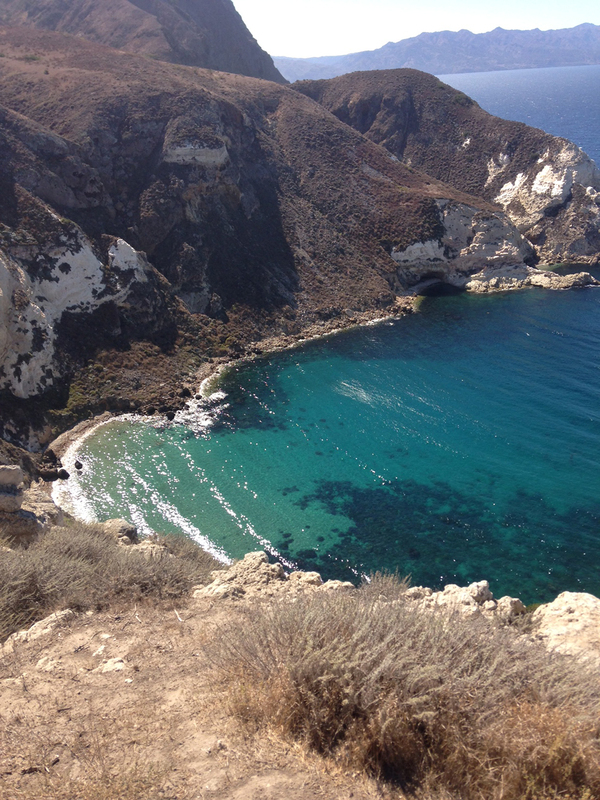 So why the heck are we doing a staycation on Santa Cruz Island? 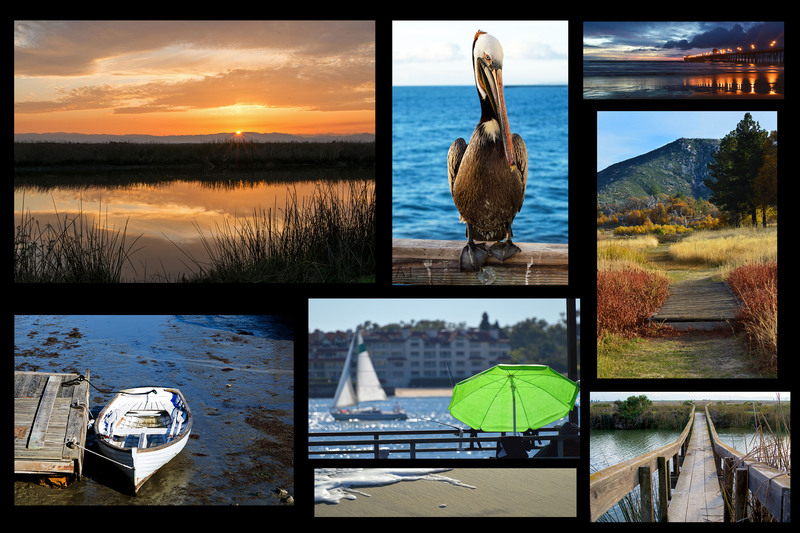 Because after hearing about it from a friend, I thought it might be a great place to feature for all of you hikers, campers, adventurers, kayakers, and nature lovers. The island itself is picturesque with its cliffs jutting far above the ocean, its lush hillsides and pristine beaches. Even if you go just for the day, it seems like an exciting and unique experience. 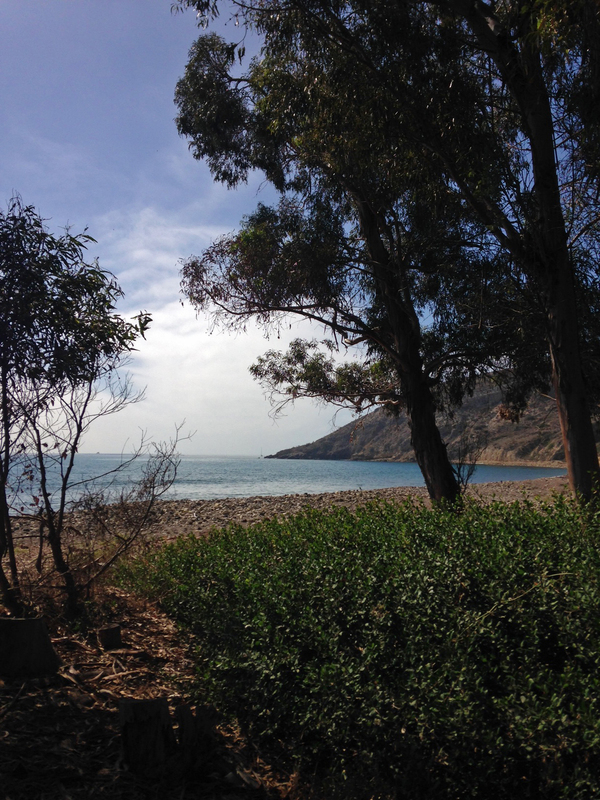 For the weekend, you have to bring your own gear and supplies for camping amongst their Eucalyptus shaded campsites. 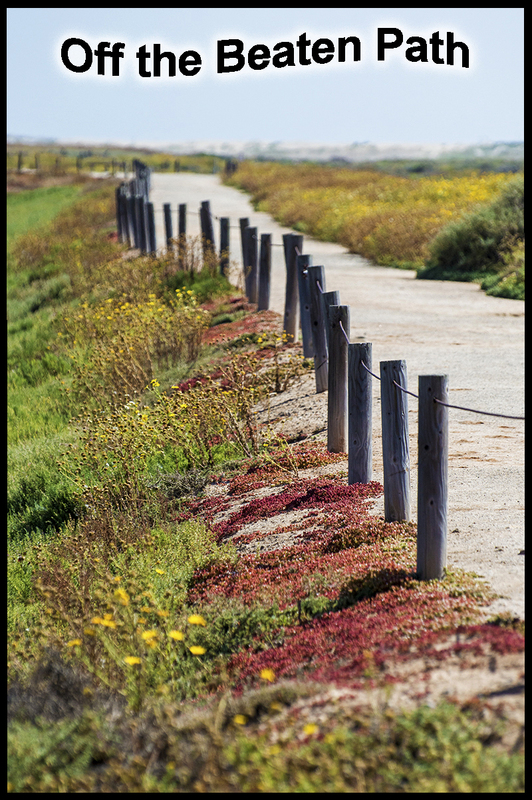 You have to hike with your gear to the campgrounds which are situated about a half -mile from the ferry dock. You also must have a permit to camp overnight and there are restrictions on what you can and can’t take. Islandpackers.com or www.recreation.gov will have all the information you will need. 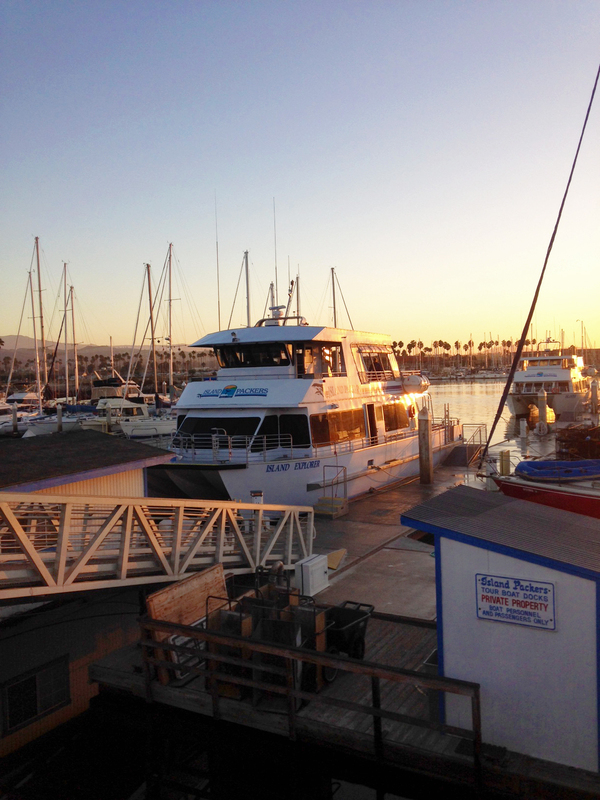 Island Packers will ferry you over from Ventura or Oxnard Harbor. This is a national park with stringent rules to follow so I suggest checking out their website for protocols for camping overnight. The boat trip over to the island takes a little over an hour. The island is in the northern group of the Channel Islands and is 22 miles long and 6 miles wide at its widest point. It is the largest of the eight islands and, besides the steep cliffs, it has sea caves, coves, and paths that lead to wonderful sandy beaches. Island Packers will also bring in kayaks for you to enjoy the clear blue water and guides can be hired to take you to the sea caves. 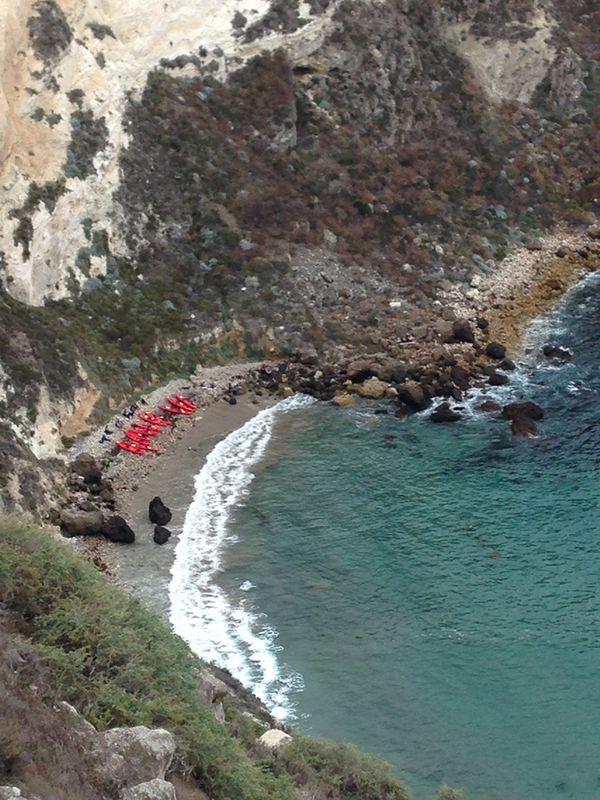 The cliffs offer great views as you hike far above the ocean. From this vantage point, the water looks crystal clear and the beautiful blue/green hues make you want to grab your kayak or snorkel gear. The island is extraordinary and a must see in your lifetime. If you are visiting the island for the day, be sure and bring your favorite snack, drink, sunscreen, or whatever else you need for the short stay. As mentioned, there is no place to get food or drink. 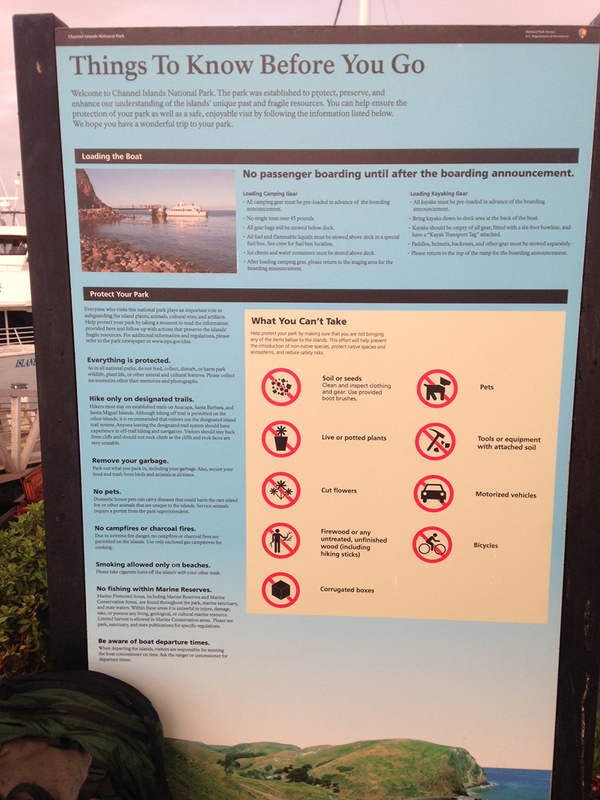 Also, don’t miss the boat back to the mainland as you will be stranded for the evening. Unlike Catalina, you can’t just find a little bistro for a warm dinner or a hotel to stay for the night. For longer stays, be sure and pack accordingly and a little extra in case the boats can’t get back because of rough seas or weather. Just imagine you are on a deserted island far from the mainland. On second thought, you actually don’t have to imagine… because you are!!!! !